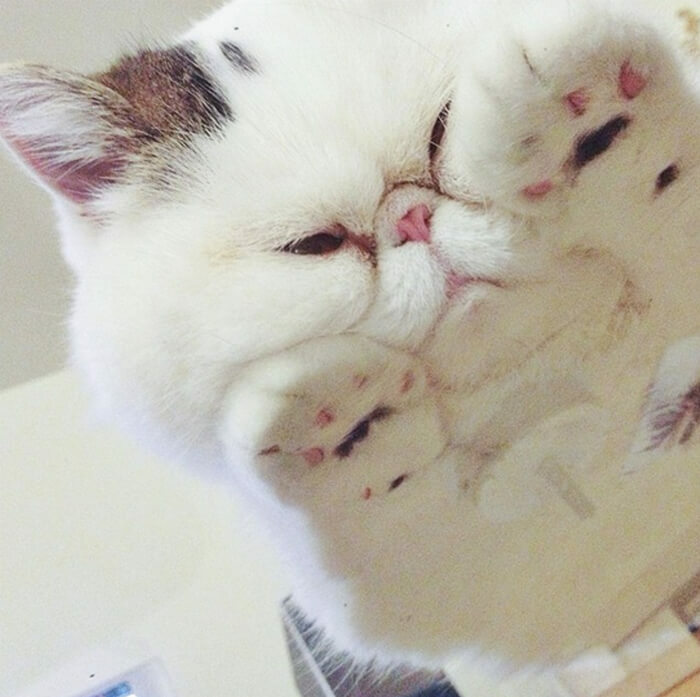 Cat is so fun and we can’t never get enough of cat. 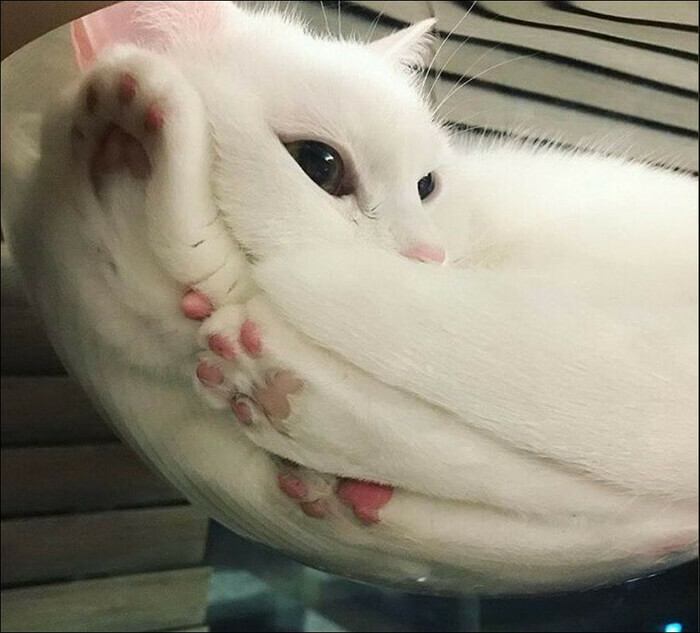 “Made of liquid”, they can fit themselves in any place they want and sleep wherever they like. 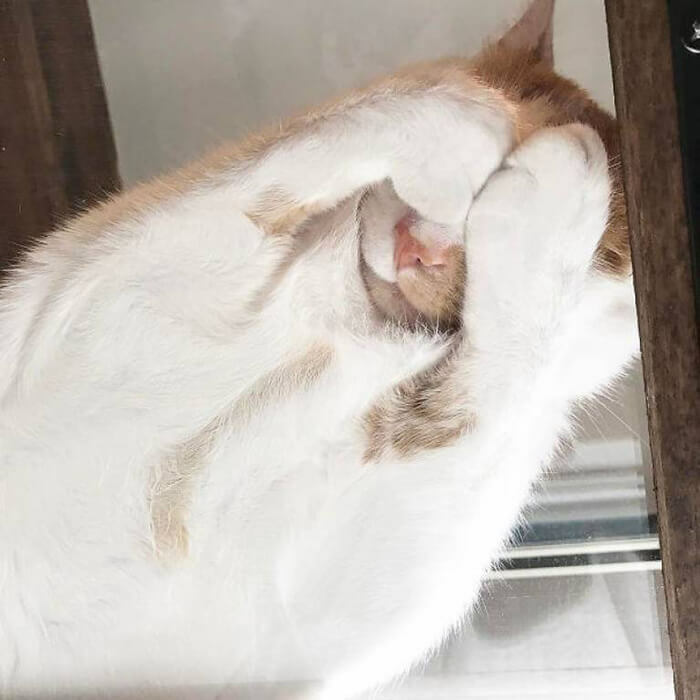 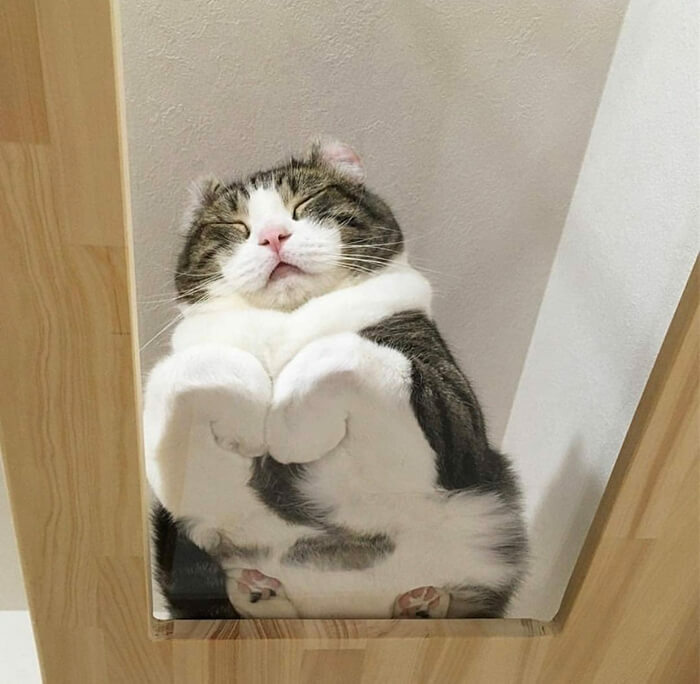 The posts about funny sleeping cats are one of those most popular articles on our site which indicates how much people loves these furry ball. 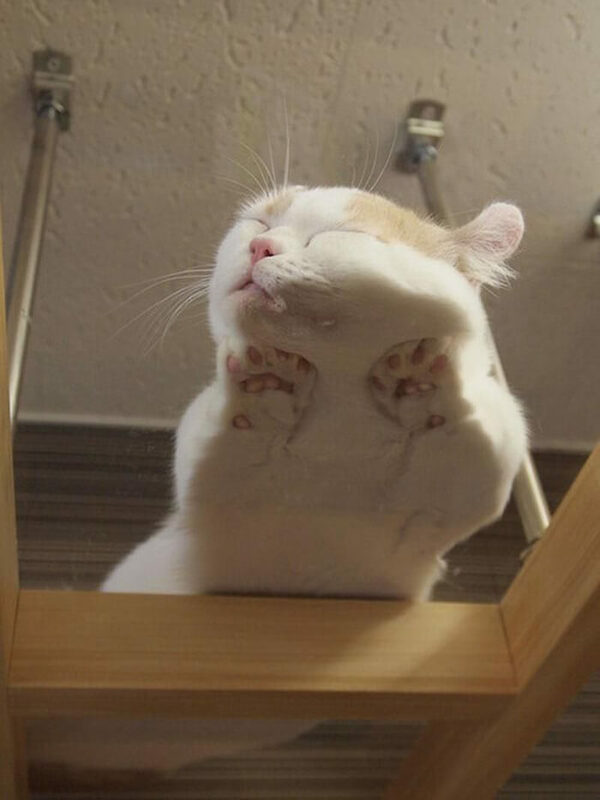 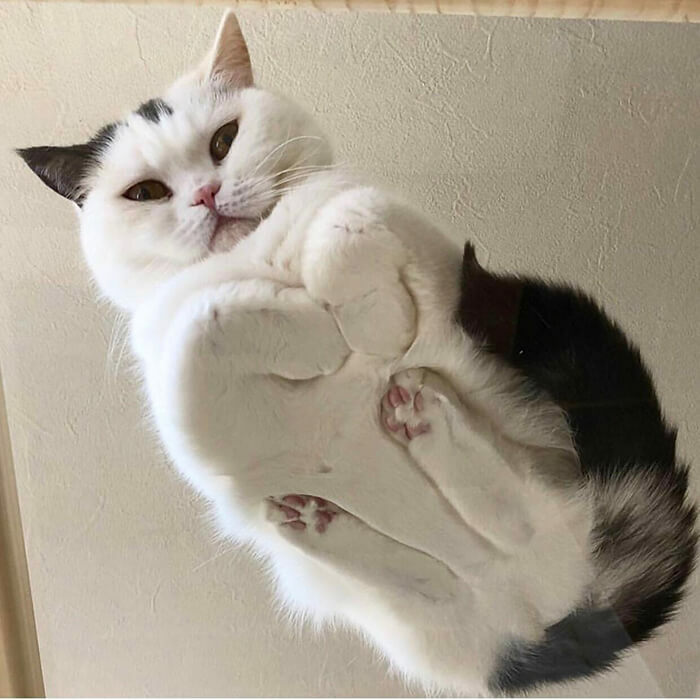 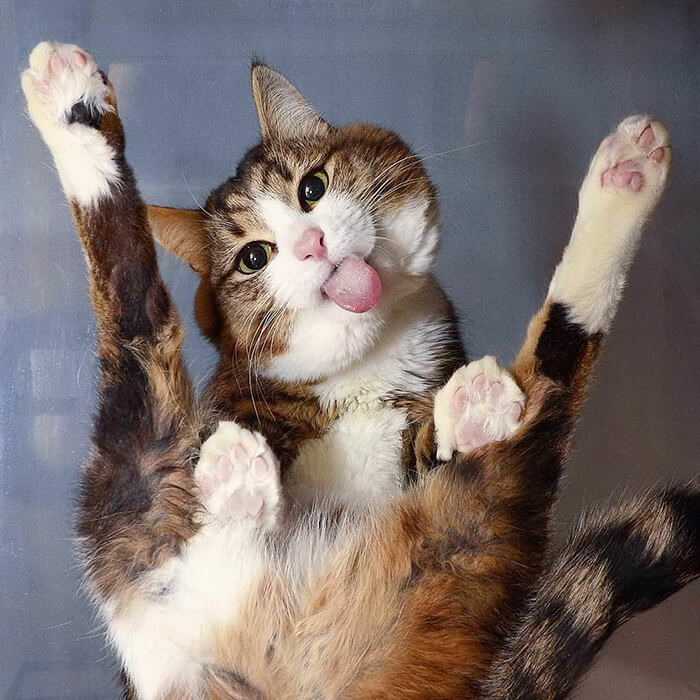 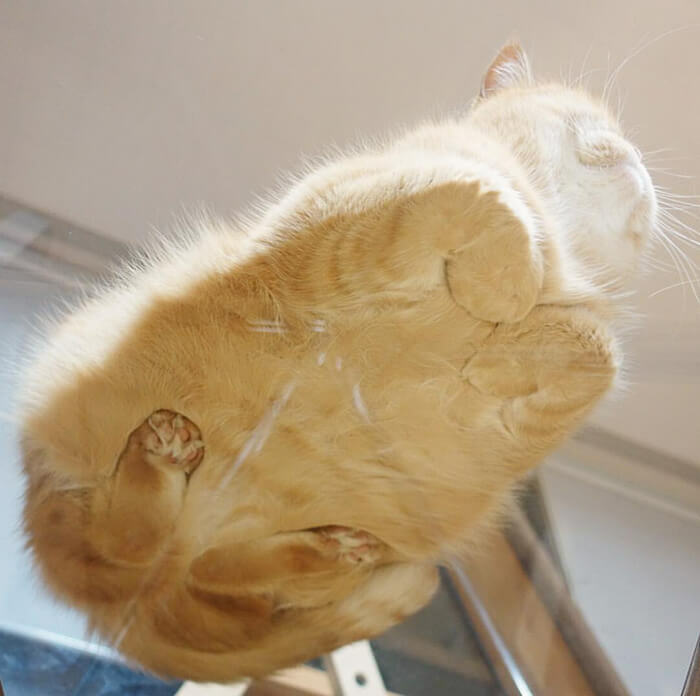 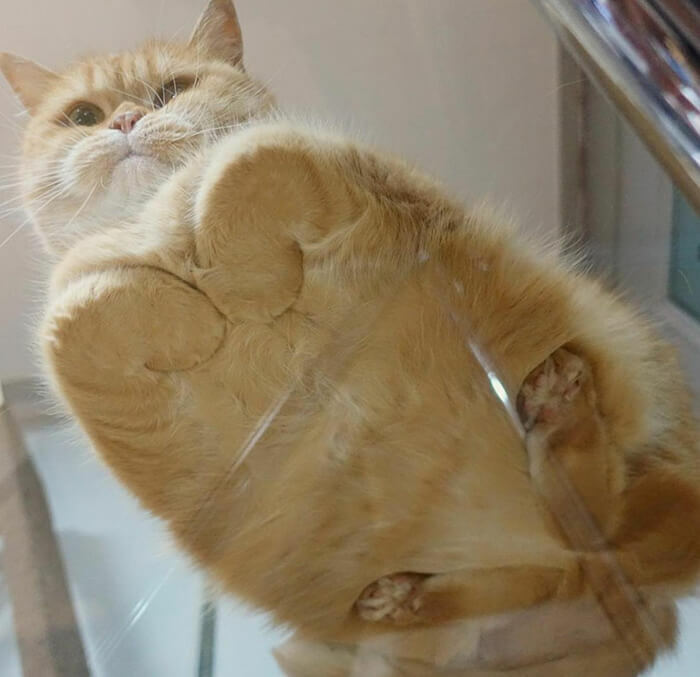 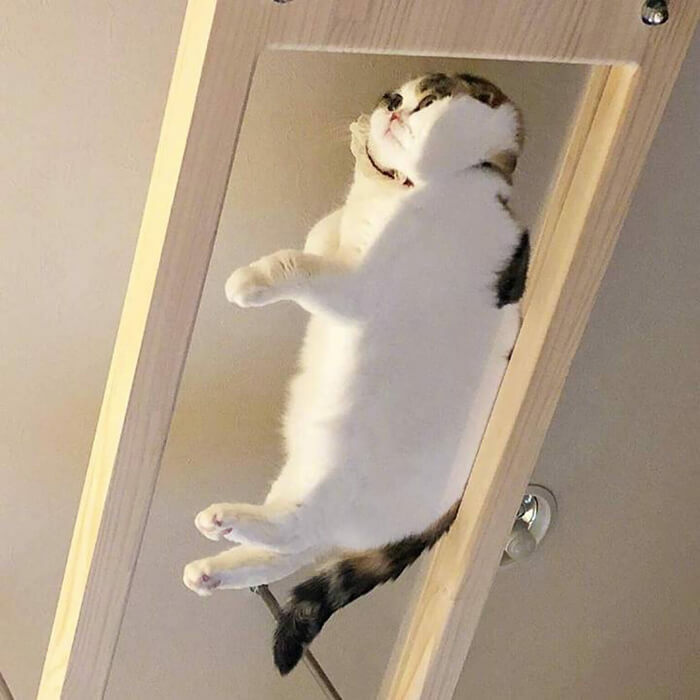 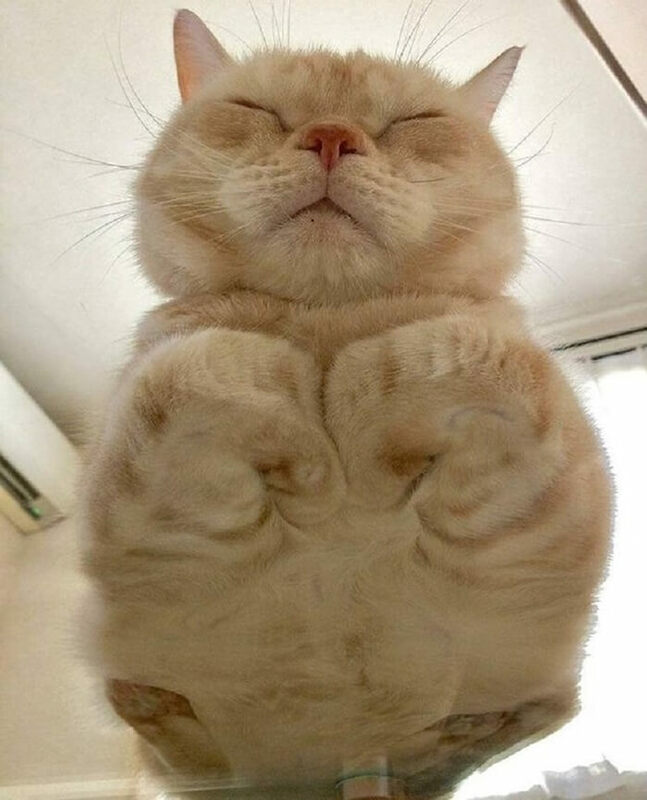 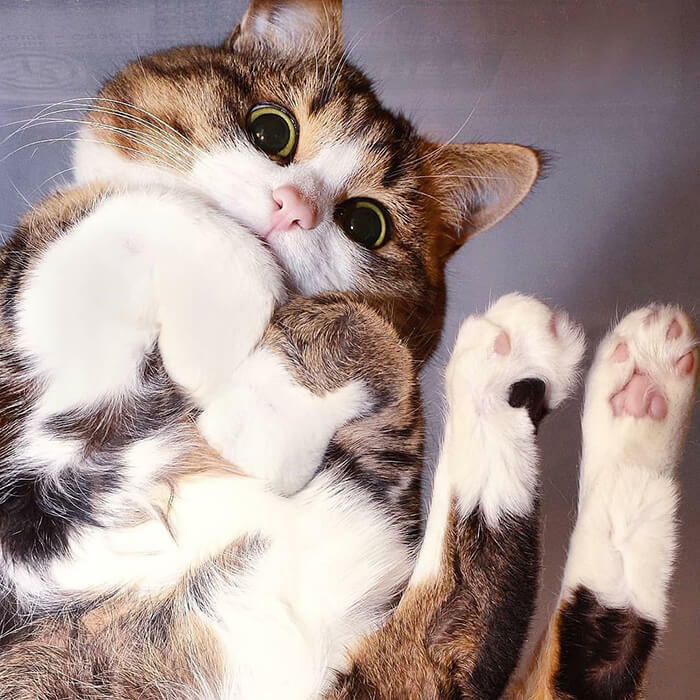 After all those funny sleeping position, “cats sitting on glass tables” becomes a new hot topic and cat owners start to share all hilarious pictures about their cats laying on the table. 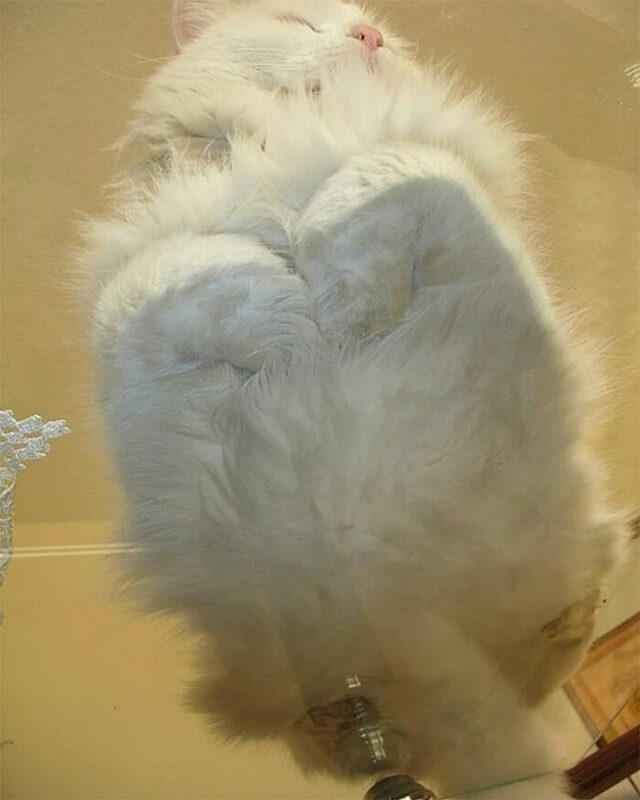 Not sure about you, but look those fur-balls through glass from underneath is kind of a new perspective. 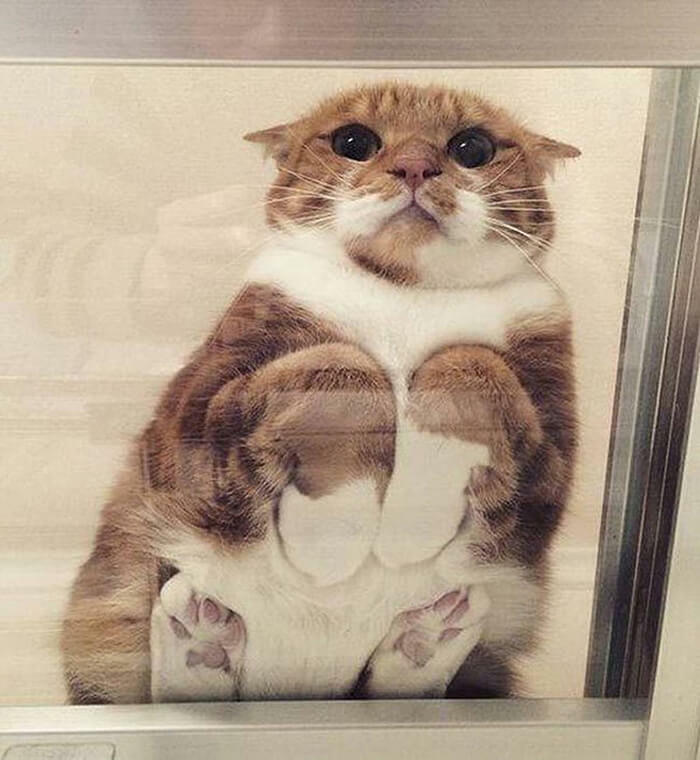 Catship, catloaves, just look at these squeezed cat face, they literally make my day!